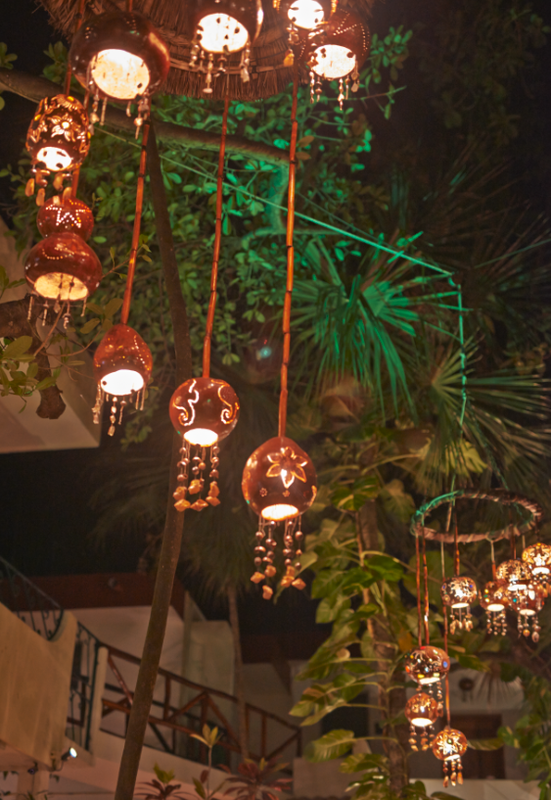 Recent vacation in Playa del Carmen, Mexico, to recharge artistic batteries and quality tequila levels. Here are a few photos. 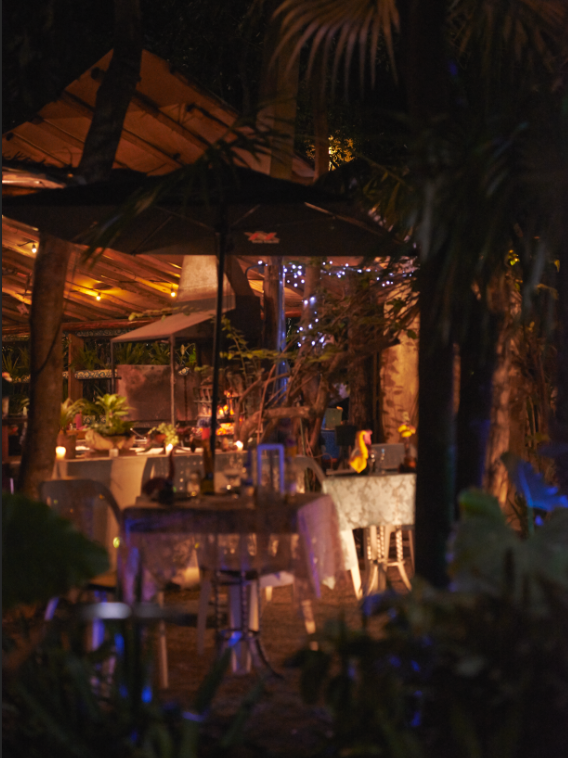 You can see the beach, flowers and of course glimpses of magical place that Playa can be at night. 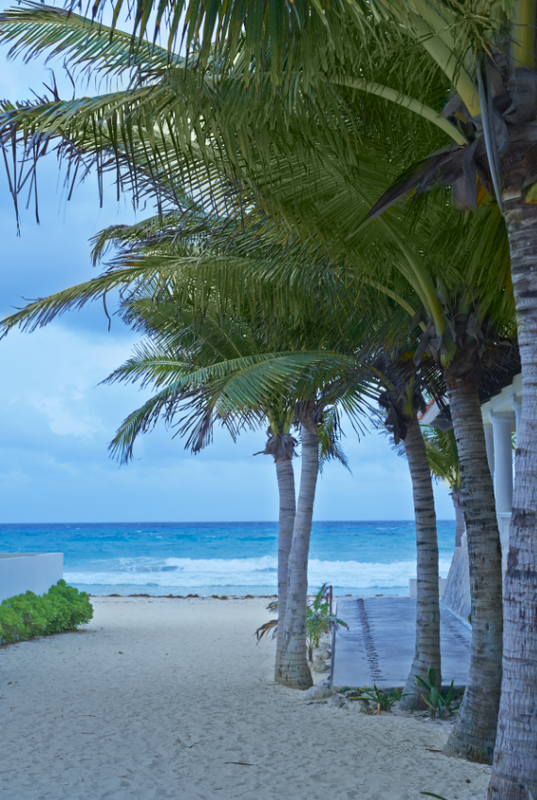 This is a house and palm trees by the ocean. 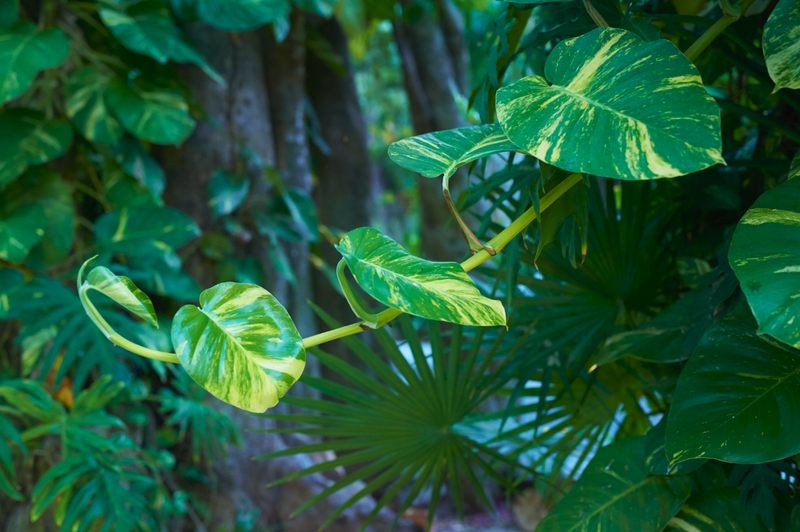 Vegetation on a tree trunk on the street. 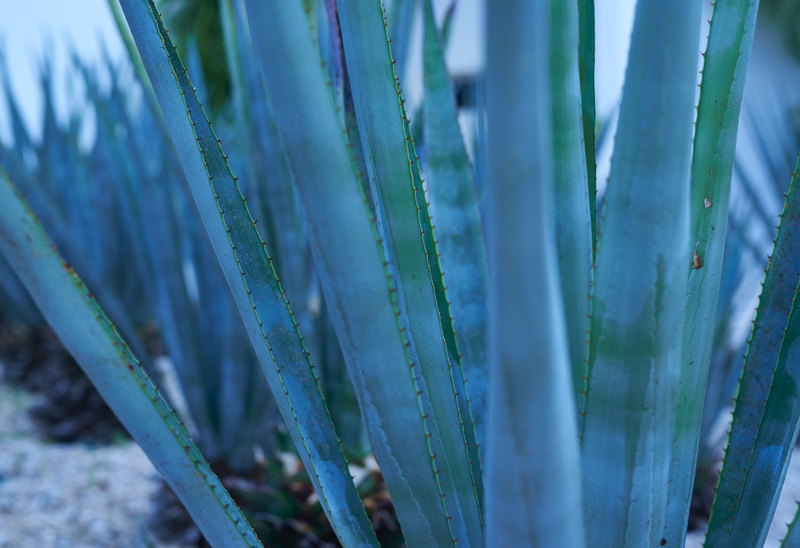 Close-up of a local species of agave plants. 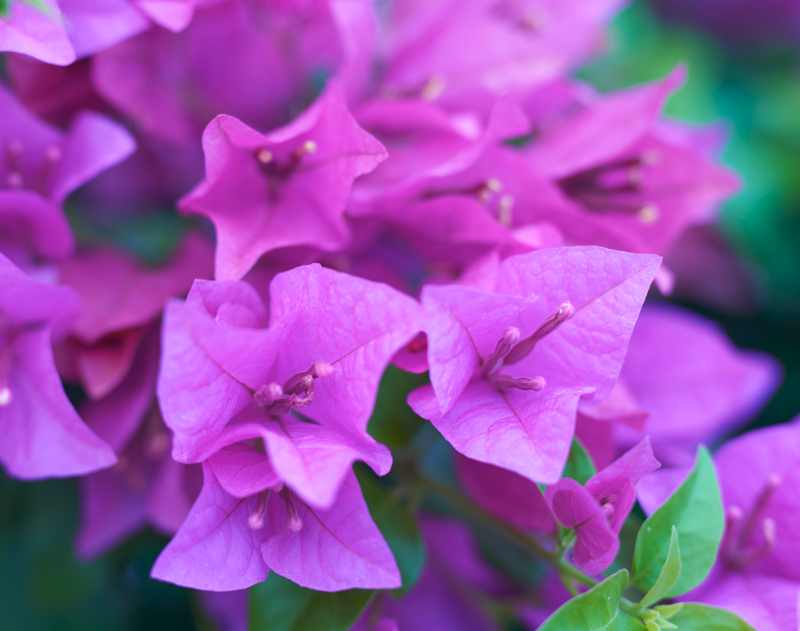 Close-up of a purple bougainvillea flower. The view from our rented apartment balcony. 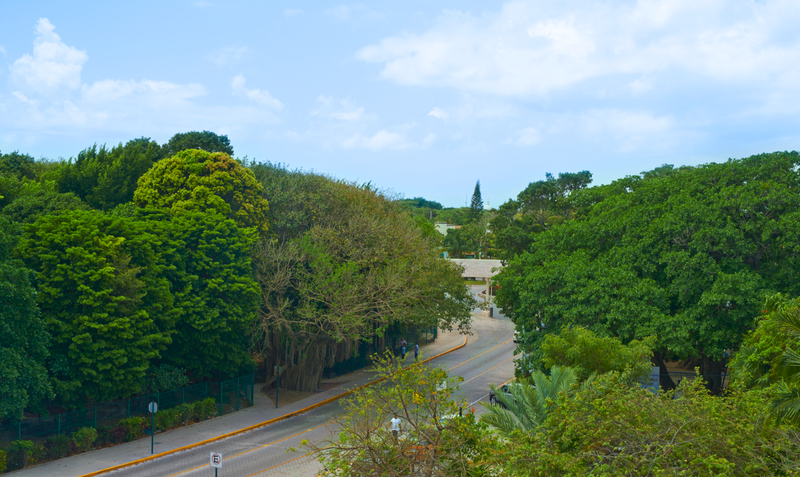 You can see the entrance to Playacar on the right. 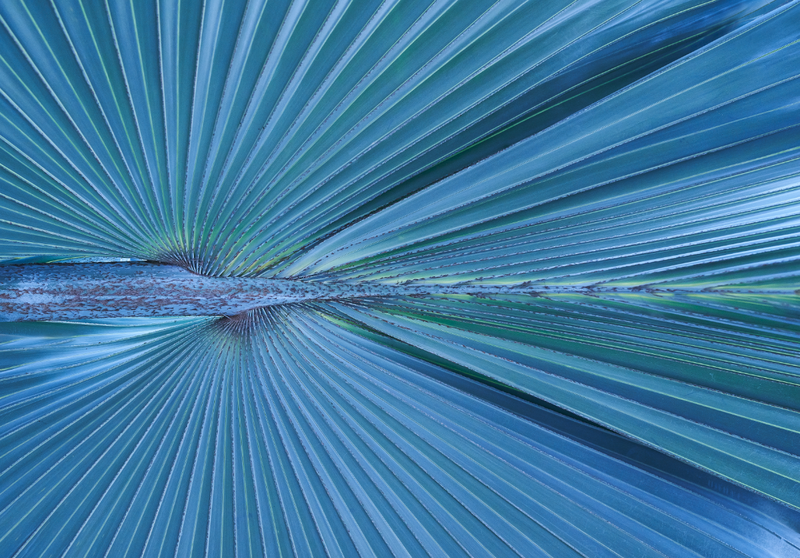 Close-up of a palm leaf of a different species. The color was really a silver-blue. 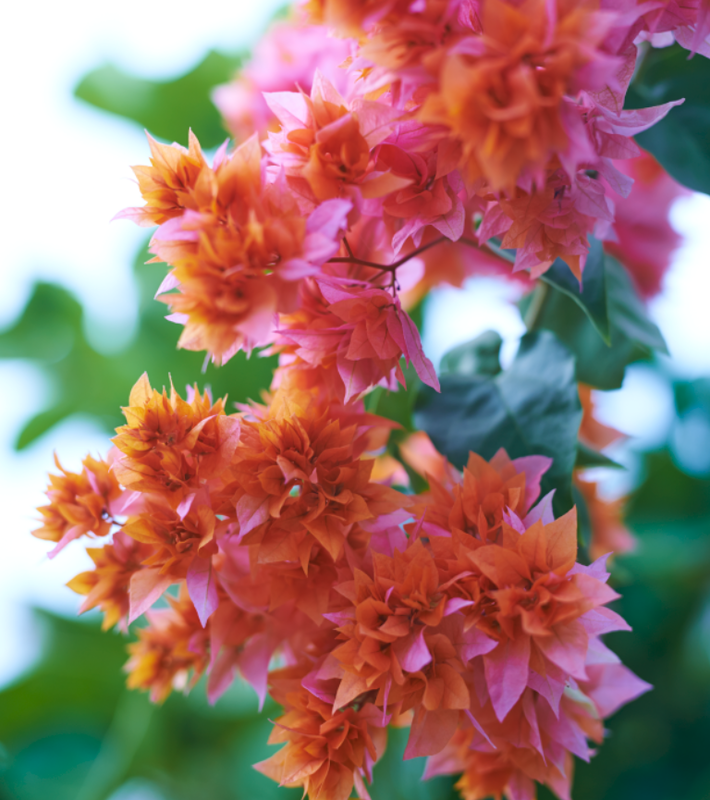 Close up of a pink and orange bougainvillea flower. 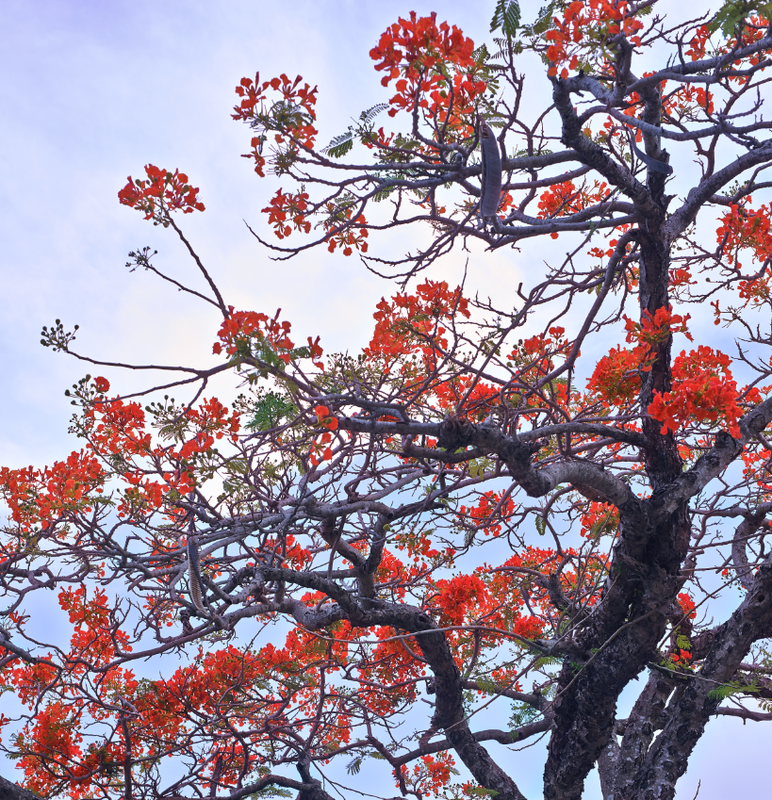 The Flamboyan Tree in bloom at dusk. 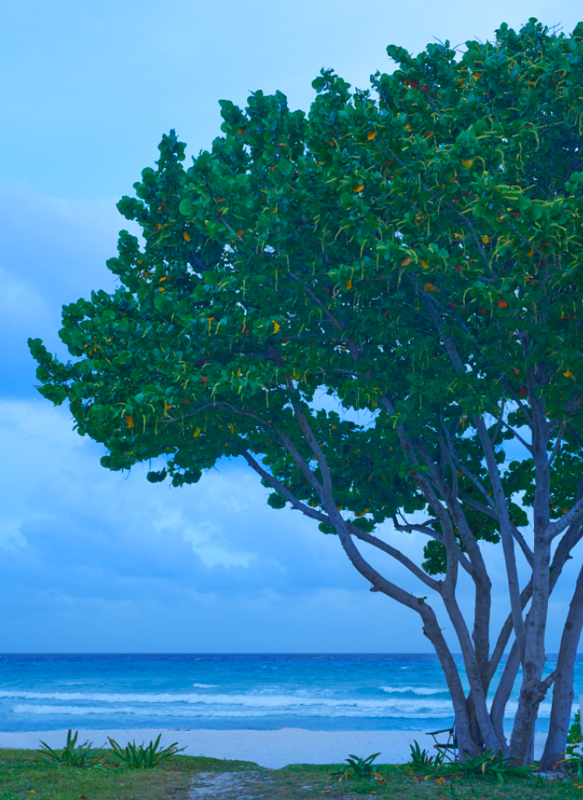 Another view of beach and ocean with a local tree on the right. Not sure what the tree is called. 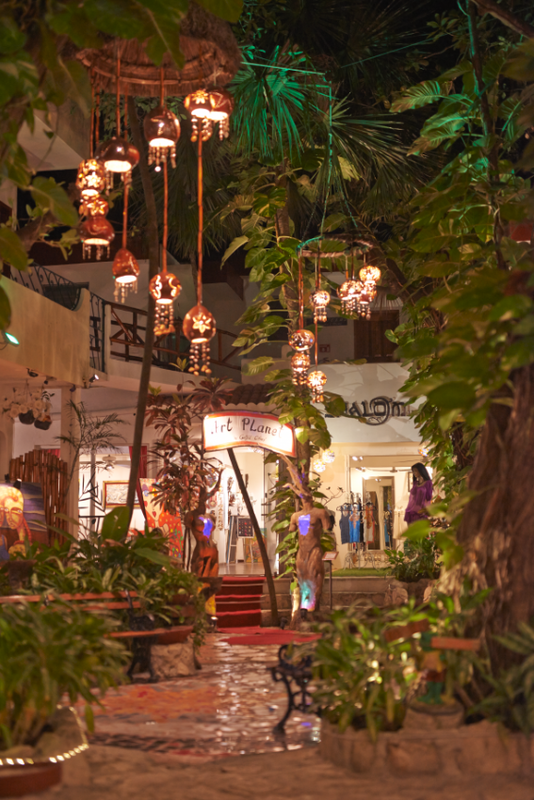 Playa del Carmen at night. Jardins De Marietta. 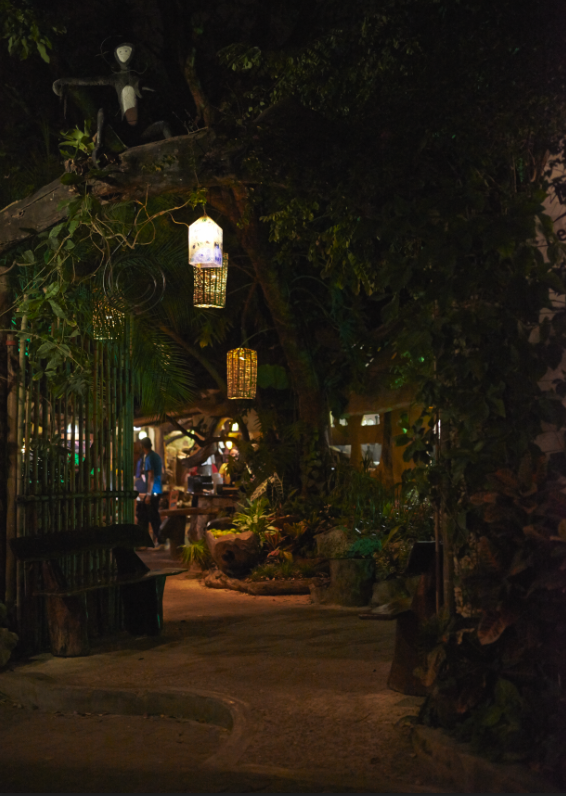 A lovely inner garden with artist galleries and an incomparable atmosphere. You can see some benches where people can sit and enjoy. 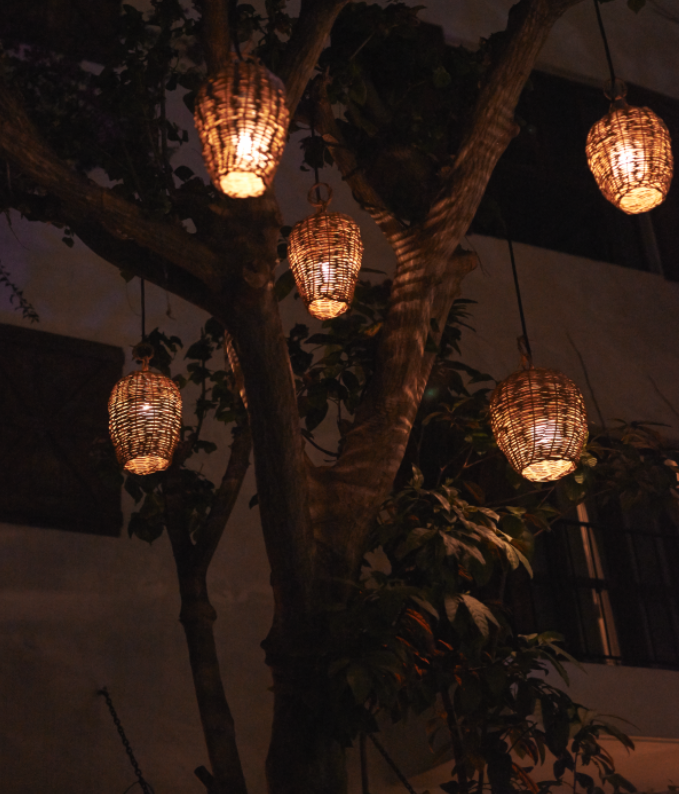 Several open-air restaurants with lit lanterns of different shapes and sizes in the trees. Two of them are La Piola and La Cueva del Chango. 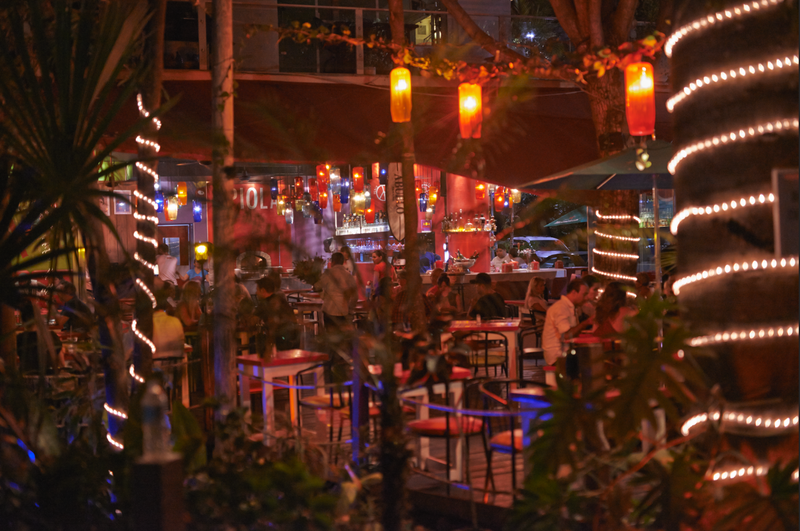 This is common practice in Playa del Carmen.